The National Institute on Drug Abuse reports a devastating number of American people suffering from addiction — 23.9 million over the age of 11 to be exact — as of 2012. Additionally, the Substance Abuse and Mental Health Services Administration points out that only a mere 10.8 percent of those in need of treatment that year got help. Regardless of what your preferred substance is, the chance you have of leaving it behind lies heavily in the choices you make when mapping out your specialized treatment plan. A frequent concern among the family members and friends of substance abusers and addicts is whether or not they can even get their resistant loved one into rehab. First and foremost, don’t buy into the notion that addicts can only get help if they want it. Every year, a large number of the people in treatment were forced into it involuntarily, either by family, court order or otherwise. Regardless, plenty of them come out of rehabilitation as changed individuals and remain abstinent from substance abuse. The most popular method utilized for getting unwilling addicts into treatment is the intervention, which is highly successful when done right. The National Council on Alcoholism and Drug Dependence, Inc. notes that more than 90 percent of patients are accepting of help when offered by an experienced and skilled professional interventionist. That being said, carrying interventions out in an inappropriate manner may seriously hinder your chances of success. Before attempting to undertake an intervention process on your own, enlist professional help. A professional interventionist can help make sure all your ducks are in a row, thereby setting the addict in your life up for the best possible chance of recovery. One of the most important factors to consider when attempting an intervention is how you’ll get the addict to the chose rehabilitation facility. The time between locations is crucial, because every excess minute can be used by the addicted party to back-pedal and attempt to get out of going to rehab. All travel arrangements should be handled in advance and it is generally best if a professional interventionist transports the patient. Clothing and personal items for the addict should be packed up ahead of time and loaded into the transporting vehicle. Remember, every minute counts. The goal is getting the substance abuser to say yes to rehab and then quickly get them to the intended destination before they can change their mind. Typical grooming supplies like shampoo, deodorant, feminine products, etc. As the National Institute on Drug Abuse (NIDA) discusses, the traditional drug treatment model addresses the biological, psychological, and environmental dimensions of substance abuse. As substance abuse is a complex illness, it requires a multidisciplinary treatment approach. Although intensive rehab programs often last from 28-90 days, or longer, the recovery process lasts a lifetime. It is important for anyone affected by substance abuse to understand that this disease is treatable, but there is no cure. Relapse is always possible, though effective rehab treatment and long-term aftercare can minimize this risk. Detoxification is generally not sufficient to achieve long-term recovery. It must be followed by comprehensive care. It is necessary to remain in treatment for an adequate amount of time. There shouldn’t be a set time limit on care; it should be catered to the individual’s needs. For opioid abuse treatment, medication assisted treatment (MAT) can be instrumental to the recovery process. A recovering person’s primary care treatment plan, including psychotherapy, must be periodically reviewed and adjusted as necessary. Rehab does not have to be voluntary in order to succeed. There is never a one-size-fits-all treatment approach. Each individual substance abuser presents a unique personal history of drug abuse and life experience. Substance abusers may initiate treatment voluntarily, through family effort, through a parole officer, or through a state agency referral (such as a drug court that offers treatment in lieu of a jail sentence). Treatment approaches are influenced by a host of factors, including the age of the abuser, health condition, drugs abused, presence of complicating aspects such as HIV/AIDS, and whether there is a dual diagnosis (co-occurring mental disorder). Upon admission to a rehab center, an addiction professional will conduct a thorough and comprehensive intake process to learn of all the factors relevant to the substance abuse. From this information, a team of addiction specialists will usually work together to tailor a treatment plan to the client’s specific needs. This article addresses the main components of such a treatment plan. Many incoming rehab clients will require detox to eliminate all drugs of abuse from their systems. This process can take 3-10 days, but the length of time can be shorter or longer in some cases. The detoxing individual is generally not held involuntarily, although it is never advisable to leave before detox completion. A supervised detox (which may occur at the rehab center or off site) has numerous advantages compared to “going cold turkey” or doing an at-home detox. One of the greatest arguments in favor of a supervised detox is the added layer of protection against the substance abuser relapsing in the face of the cravings or discomfort involved in the withdrawal process. During a supervised detox, medical professionals can ease the uncomfortable aspects of the withdrawal process by providing pain relievers, muscle relaxers, vitamins, and healthy nutritional support. Withdrawal from opioids (such as heroin, prescription pain relievers, and methadone) can be more than severely uncomfortable; it can be life-threatening, so it’s important to have medical supervision. Opioid withdrawal can feature more severe complications than withdrawal from other drugs, including vomiting and then breathing that discharge into the lungs. An additional complication is relapse. Most opioid overdoses occur after a person has detoxed. After an opioid abuser detoxes, returning to the familiar dosage can be fatal. For these reasons, as well as the overall intensity of the opioid withdrawal process, those who abuse opioids may undergo a medication-assisted detox, in which a replacement medication, such as methadone or buprenorphine, is used to slowly wean the user off the drug. Further, as the dangers of opioid withdrawal suggest, abusers of this drug are especially urged to detox as part of a supervised program as an at-home attempt presents too many risks. After a successful detox, a recovering individual will enter into the primary care phase of recovery treatment. The program may be structured on an inpatient (residential) or outpatient basis. As addiction professional Steven Gifford discusses, during the rehab intake process (either on the phone or in-person), a treatment specialist will make a recommendation as to whether an inpatient or outpatient program is most suitable. Still, it is important to understand the differences in these program types in order to make the most informed decision. The hallmark of an inpatient program is intensive drug addiction treatment programming that aims to educate clients about drug abuse in general and provide individual and group therapy dedicated to examining the issues underlying the substance abuse. The immersion in the safe, contained, and controlled environment of an inpatient program allows the recovering individual to make a fresh start and build new interpersonal skills grounded in trust, self-respect, and honesty. However, some may question whether this immersion is too removed from the everyday realities of living in society. Most programs – to make the inpatient program more reflective of reality and to build a strong support system for the addict when he returns home – invite family members to participate in the treatment process. Family involvement can provide a link to the recovering individual’s everyday life outside of rehab, as well as assist the process through participating in family therapy and any educational workshops offered. Inpatient programs may be a good option for substance abusers who relapsed after an outpatient program or who did not fully complete an outpatient program. Inpatient programs always offer the additional safety and security of having staff available on site around the clock. The supervisory support can create an added disincentive for clients to relapse. Some substance abusers may want to make a strong commitment to recovery at the outset and select an inpatient program the first time they enter rehab. Whether the newly admitted client has been to rehab before or not, she can expect an intense recovery experience dedicated to achieving abstinence and learning life skills to maintain that abstinence. Outpatient programs have many of the same treatment features as inpatient programs, but they require less of a time commitment. 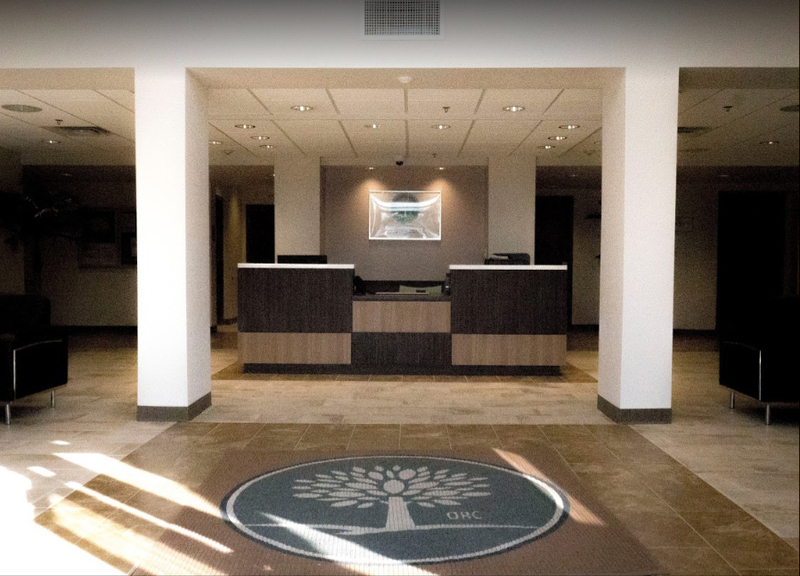 An outpatient program is suitable to someone who does not require access to 24/7 rehab services or who may need to honor family and work commitments. Again, an intake professional will make a recommendation as to whether an outpatient treatment plan is most appropriate. The outpatient model means that the recovering individual may be exposed to environmental cues to use drugs again, such as passing through familiar neighborhoods, experiencing family-related stress, and having access to money or resources to procure drugs, if working or otherwise. However, a benefit of outpatient treatment is that the recovering individual has a foot in the “real world” and the “rehab world,” unlike the individual in an inpatient program who will have to transition back into everyday life. Solid aftercare is essential to help with that transition. Psychotherapy is a primary component of treatment and will be offered at both inpatient and outpatient programs. As Medical News Today discusses, psychotherapy treats psychiatric, personality, emotional, and behavioral disorders through organized sessions between the patient and psychotherapist. Psychotherapy is generally considered “talk treatment” but can also include creating art, writing, music, and narrative story. These communication efforts can help the patient to discover aspects of his psyche that he may not be conscious of on a day-to-day basis. The psychotherapist guides the process attentively, cuing the patient to further explore some insights and eventually see patterns of behavior that are not life affirming or self-loving. Stated positively, psychotherapy can also guide a patient to see that he has the internal strength to undergo a personal transformation. There are different specialized approaches to psychotherapy. Rehab programs will advise prospective clients of the type of specialized methodologies offered. Some of the most common forms of psychotherapy in drug treatment include, cognitive behavioral therapy (individual therapy), psychoanalytic theory (individual therapy), group therapy (recovery for similarly situated substance abusers), and family therapy (a form of group therapy). Cognitive behavioral therapy (CBT) has proven to be well suited to the drug treatment context. The National Institute on Drug Abuse explains the main points of this approach. CBT’s starting point is that an individual’s learning process plays a central role in the manifestation of disordered behaviors, such as substance abuse. CBT provides behavioral instruction. The CBT psychotherapist will work with a patient to anticipate problematic scenarios, and then guide the patient through a healthy response. These lessons in healthy coping strategies can then be adapted to real-life scenarios when the recovering substance abuser experiences stress. Rather than turn to drugs as a coping strategy, the individual has a storehouse of positive responses learned in therapy. Research has found that the lessons learned in CBT continue even after the treatment ends. Psychoanalytic therapy offers a theory of substance abuse. Sigmund Freud, the father of psychoanalytic theory, conceived that the building blocks of personality (and the source of all its disorders) are the id, superego, and ego. The id is impulsive, whereas the superego is the authoritative parent-like figure, and the ego mediates the counter-positions of the id and the superego. For Freud, anxiety is a formidable force that threatens the existence of the ego. In contemporary psychoanalytic theory, substance abuse is a defense to acute anxiety. To avoid the painful experience of anxious feelings, a substance abuser turns to drugs to cope. But this unhealthy form of coping prevents the substance abuser from developing healthy, life-affirming responses to life’s stresses. Psychoanalytic theory has been shown to be adaptive to the drug treatment context. Group recovery therapy is one of the cornerstones of the rehab process. Many groups are self-help memberships founded on the 12-step model that started with Alcoholics Anonymous and Narcotics Anonymous. Other groups are psychotherapist-led and follow approaches such as CBT. Group therapy is an obvious form of treatment when one considers that human beings are social by nature. One of the main benefits of group therapy is that it creates a “culture of recovery” in which members mutually support one another and witness one another’s recovery success.In addition, groups are uniquely capable of teaching members interpersonal skills. The group may have a unified goal of recovery but will have to work out the rules of communication in a respectful, trust building manner that can be applied outside of the group to other relationships. Outpatient treatment.This is a flexible format that provides recovering persons with access to doctors, therapists, and drug counselors in a centralized place while also providing the freedom to work and reside elsewhere. Step-down residential treatment.This method of care combines 24/7 staff and resources but is less supervised than inpatient rehab. The client has time and freedom to fulfill work and family obligations. Sober living home. Although not legally regulated, this group home option can be a good match for a recovering person who wants the structure and support of house rules and on-site resources, such as group recovery meetings. Support group attendance.Attendance at group meetings provides ongoing support for the recovery process and is always an advisable component of an aftercare program. Effective aftercare is not only aimed at preventing relapse but also at helping the recovering individual to continue to build important life skills. An aftercare program serves as a structured guide for navigating life after recovery, which can be particularly difficult in the early stages of sobriety. There is no end date to an aftercare program, as relapse is always a possibility. There is no ceiling on self-improvement, so recovering persons are best advised to continually observe an aftercare regimen. 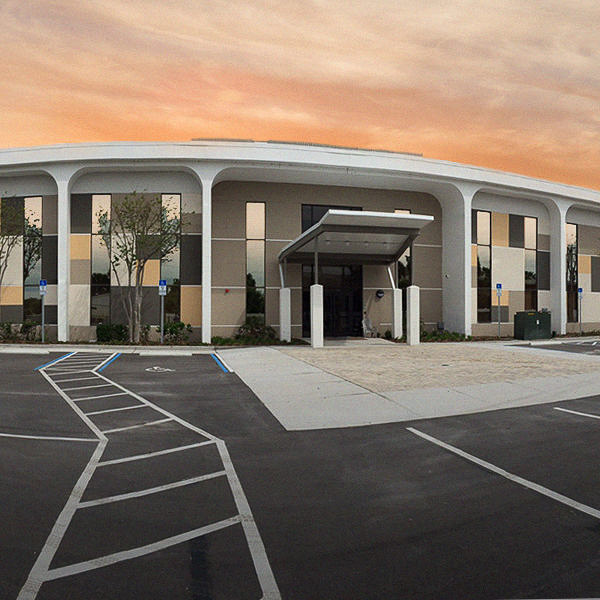 At Orlando Recovery Center, our rehab services provide expert guidance throughout each phase of treatment. We are committed to tailoring treatment to the individual needs of each client and base our services on scientifically proven methods. Call today to learn more.